Wow! Thank you all for your great response to the last two Ten-Item Wardrobe posts and videos. This clearly is a topic that resonates with a lot of people. It is one of the biggest lifestyle changes I made after living in Paris. It takes a while to pare down to a capsule wardrobe, but once you do, you really can't go back. It makes your life so much simpler and it propels you to use your 'best' on a daily basis. I received many questions from viewers wondering how on earth do I get by with so few clothes? And do I really only have ten items?? Well don't forget about the extras as written about in Lessons from Madame Chic. Extras are things like tee shirts, camisoles, blazers, jackets, coats, cocktail or special occasion dresses, cardigans, scarves, shoes, etc. These things help round out your wardrobe. They are not considered your core items. And while I wear my core items in heavy rotation, you will also find me wearing a tee shirt and jeans many days of the week as well. It is just what works with my lifestyle, having two small children. Pirouette red croc ballet flats by London Sole (I received many questions about my London Sole ballet flat collection from last week's video. They do not run true to size. For example, I wear a size 7 and in these Pirouettes I wear a 38. If you have any confusion when ordering size, check out the size chart on their website, or give the shop a call. The sales assistants are very helpful). This Tuesday, November 27th at 12:45 PST, I will be a guest on the Chat With Women radio show, hosted by Pam Gray and Rochelle Alhadeff for Seattle Talk Radio KKNW-AM. We will be discussing Lessons from Madame Chic and my tips for holiday style! Be sure to tune in! This Sunday, December 2nd, at 5pm PST, I will be doing a live teleconference interview for the LA Writers Lab on Lessons from Madame Chic! During the call I will read an excerpt from the book, have a discussion about the writing process and answer reader questions. 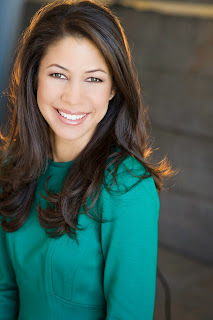 Interviewing me will be the lovely mystery author and Daily Connoisseur reader Kristi Belcamino. To learn more, visit the Writers Tribe Book Club home page. To join the call dial: 1-218-936-4700 and enter the access code 38574. Lessons from Madame Chic comes out this Tuesday, November 27th! I am so happy to have my book represented down under. I would love to one day visit both of your beautiful countries to meet readers. One can hope! Last week we discussed how to get started with your ten-item wardrobe, as described in Lessons from Madame Chic. Today I am going to show you my own ten-item wardrobe. Graphite silk top by Rebecca Taylor (I love this top and as you probably have noticed in my videos, have worn it for years). Also shown in the video are my London Sole ballet flats (which add daytime polish to all of my outfits). As you can see, my wardrobe is not exactly ten-items. The concept of the ten-item wardrobe is not meant to be a strict, rigid regime, but rather an exercise in liberating yourself from an overly cluttered wardrobe. The goal here is to get your clothing down to a capsule collection of high quality clothes. (The less you shop, the more high quality clothes you can afford over time). Also it is important to note that my wardrobe this season contains more new items than it normally does. This is due to feeling like I've been in maternity clothes for the last two years! I know many of you moms can relate... After having my second baby and finally getting back down to my regular size, I had a major clear out (again) of my wardrobe and started over. And while there are newish items featured here, many are old standbys that I've had for years. I have received many emails from readers asking how one is able to function with so few clothes. Madeleine in Australia asked about living in a hot climate. She said she is required to change her clothes often because of the heat where she lives. You must tailor your ten-item wardrobe to your given circumstances. If you need to change a few times throughout the day due to climate, then keep more items in your wardrobe. Also, don't forget the extras (tee shirts, camisoles, blazers, extra dresses, etc.). These things will also help to make your closet feel substantial. I shot this video about three weeks ago. Since then the weather has gotten chillier in Southern California so I have switched out the two spring dresses for sweaters (a lavender cashmere sweater and a navy wool sweater, both from J Crew). I also traded in the crop linen pants for the pair of black velvet trousers you saw on the KCAL 9 segment. This is a perfect example of how to edit your wardrobe when the seasons change. If you live in a temperate climate like I do, you will most likely need a few transitional pieces to get you through the change in seasons. I tend to store my seasonal clothes in storage bags, in the guest closet or (if I think I might need to use them again soon) in the 'extras' section of my closet (more on extras next week). If you have not already signed up for my author newsletter, please do so. Newsletters will be periodical and will share book news, seasonal anecdotes and inside scoops that I will not be sharing on the blog. My very first newsletter will go out this week and will discuss Lessons from Madame Chic in Australia and New Zealand, holiday decluttering and a behind the scenes look at my KCAL9 interview. To sign up for the newsletter click here. 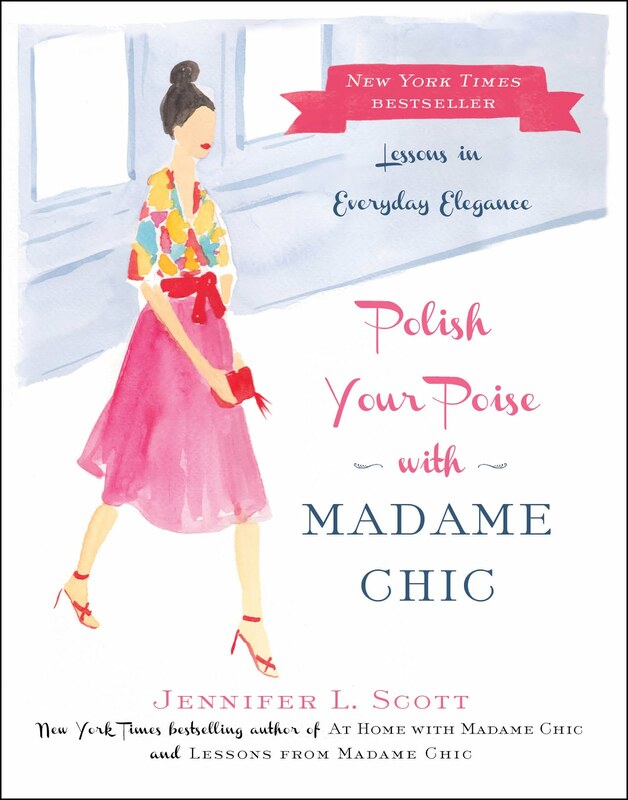 There is only one day left to enter the Lessons from Madame Chic sweepstakes from Simon & Schuster. 3 people will win a prize packet including London Sole ballet flats, Benedetta skincare products, Arbordoun calendula cream and Skindinavia makeup finishing spray. Enter here. Next week I will show you some items that comprise my 'extras' wardrobe. 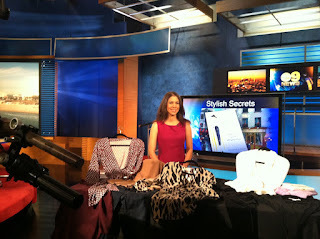 Yesterday I appeared on the KCAL 9 news at noon to discuss the Ten-Item Wardrobe from Lessons from Madame Chic. I had a great time shooting the segment and hope to go back one day (as I told the producers, I have a lot to talk about!). In the segment I show you many items from my own wardrobe, which you will get a better look at in next week's video on the Daily Connoisseur. For those of you unable to view the piece live, click here to see my interview in its entirety. I am featured in an article for online luxury magazine, The Vivant, discussing that je ne sais quoi of Parisian style. Click here to read the article. I hope you all have a lovely weekend. Check in next week to see my own ten-item wardrobe up close and in detail. See you soon! One of the topics I get asked the most about from Lessons from Madame Chic is the Ten-Item Wardrobe. So many of us are used to having dozens, if not hundreds, of garments hanging in our wardrobe. The thought of having only ten core items per season seems daunting, if not impossible. I know, because I was one of those people. My wardrobe was filled (and I mean filled) with clothes but for some reason I was never satisfied with my style and never seemed to have anything I wanted to wear. Learning about the ten-item wardrobe in Paris changed all that and my goodness has it been a revelation! The next few weeks will be devoted to the ten-item wardrobe. So let's get started! Watch this week's video to hear my tips for getting your own ten-item wardrobe underway. Even if you only do this as an experiment, the benefits are tremendous. And for Southern California residents, tune in to KCAL 9 news at noon this Wednesday, November 14th to see me discuss the ten-item wardrobe live! Thank you all for your warm reception of Lessons from Madame Chic! It's been a wonderful week for me. Tuesday morning after I voted, I walked over to the Santa Monica Barnes & Noble and bought a copy of my book. This was a surreal and proud moment for me. I worked at Barnes & Noble as a bookseller when I first graduated college. To have one of my books on their shelves now is a great reminder to never give up on your dreams. 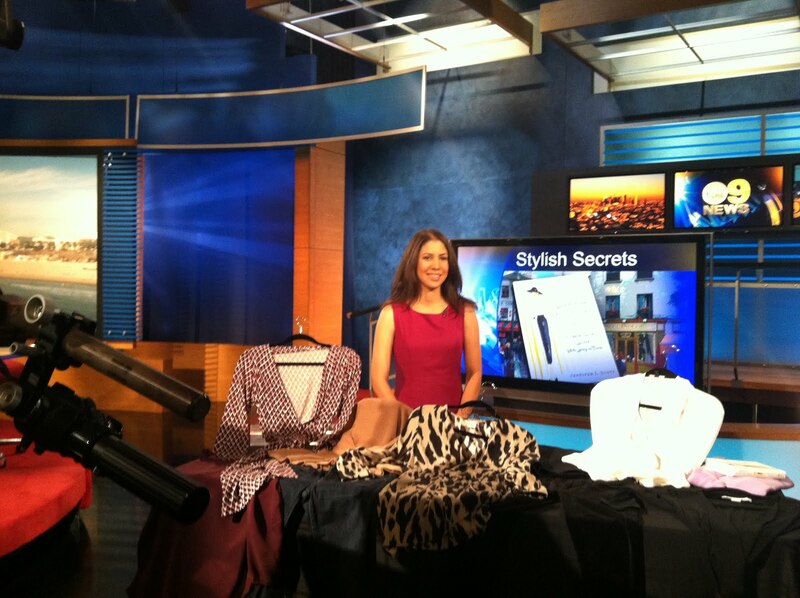 Next Wednesday, November 14th, I will be appearing on the KCAL news at Noon PST to discuss the Ten-Item Wardrobe from Lessons from Madame Chic! If you are local to the Los Angeles area, set your DVRs and please wish me luck! For those of you unable to see the segment I will post a video of it at a later date. Due to restrictions, this giveaway is open to US residents only. The giveaway will go from now until November 27th with the winners being announced by Simon & Schuster on November 30th. 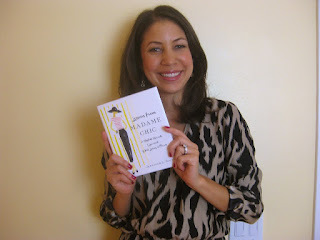 In other giveaway news, the lovely Andi from Misadventures With Andi is hosting a Lessons from Madame Chic giveaway. You can enter for a chance to win here. 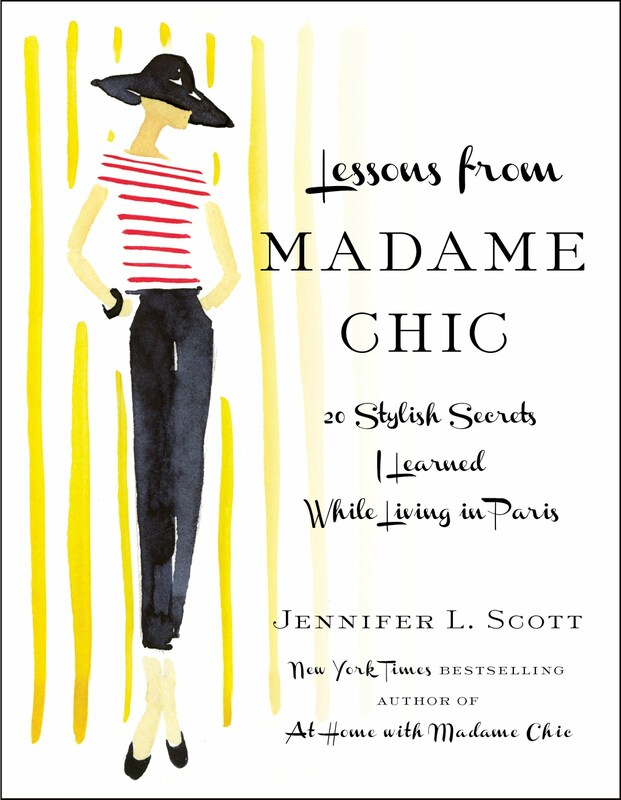 I am so happy to announce that Lessons from Madame Chic: 20 Stylish Secrets I Learned While Living in Paris is finally out today in North America and the UK! As many of you know this book has had quite a journey. I self published the book last year and after a great reception from readers (thanks to you!) and great reviews, including one from The New York Times, my book was picked up by Simon & Schuster. I am so proud of this new edition. It is a beautiful hardcover (but is available in eBook as well), newly edited and filled with delightful illustrations from the artist Virginia Johnson. Each chapter of Lessons from Madame Chic reveals a valuable secret Jennifer learned while under Madame Chic’s tutelage in Paris—tips you can incorporate into your own life, no matter where you live or the size of your budget. Embracing the classically French aesthetic of quality over quantity, aspiring Parisiennes will learn to master the art of eating (deprive yourself not), dressing (the ten-item wardrobe), grooming (le no-makeup look), and living à la française. 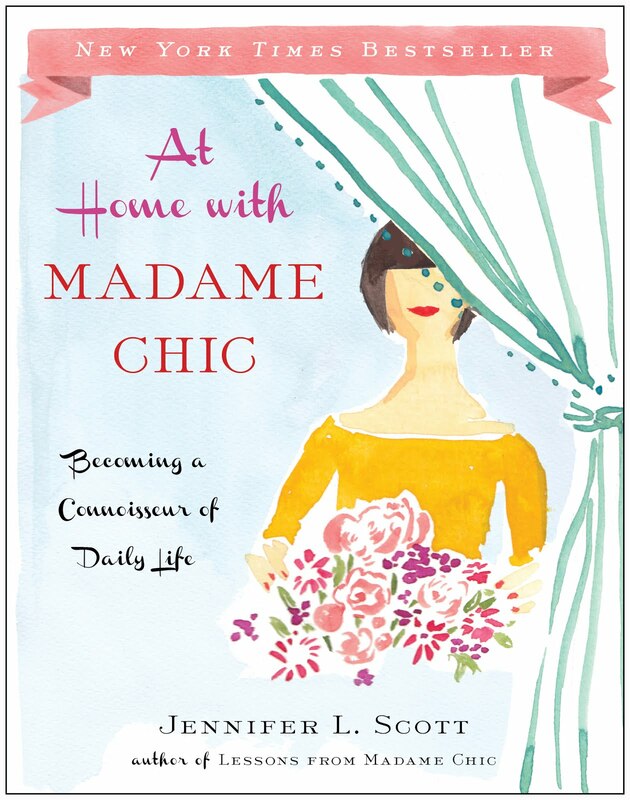 From entertaining with easy flair and formality to cultivating allure while living an active, modern life, Lessons from Madame Chic is the essential handbook for anyone wanting to incorporate that Parisian je ne sais quoi into her daily life. I want to thank all of you wonderful readers for being so supportive over the years. Without you, this book would not exist. If you enjoy reading Lessons from Madame Chic, please help me spread the word by recommending it to your friends, reviewing it on Amazon and Barnes & Noble and mentioning it on your social networking sites. And please stay tuned for this Thursday when I will announce a MAJOR giveaway. See you then! 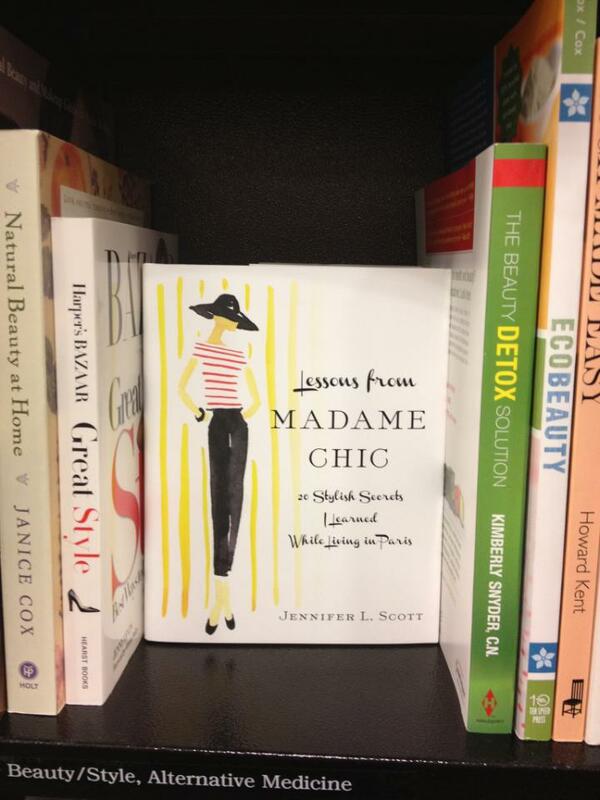 **Lessons from Madame Chic will be available in many other counties as well. Please check in with my blog or author website for updates. Going into the weekend I have several things to share with you... so here we go! Always on the lookout to achieve the perfect at home blow dry for my hair, I recently tried out Neuma Blow Dry Lotion, which is a sustainable heat protectant and styling cream. It adds hold and manageability to your hair, reduces frizz and makes great use of plant extracts and essential oils. Neuma sent me this blow dry lotion to try out and I've used it several times over the last few months. I really like the smoothness this high quality cream gives my hair. It really does make a great companion to accomplishing a professional-looking at home blow out. I'm happy to add this to my list of favorite blow dry creams and serums which also include: Fekkai Ironless Straightening Balm, Kérastase Nectar Thermique, and CHI Silk Infusion. What makes Neuma Blow Dry Lotion so different from my other blow out creams is that Neuma use only renewable, beneficial plant-based ingredients. As I start to become more conscious about the types of beauty products I use I am more drawn toward natural brands like this one... If you give it a try I hope you enjoy it as much as I do! I hear from so many readers of the Daily Connoisseur who are artists and entrepreneurs. I applaud this greatly and especially love to hear about women entrepreneurs. Recently Daily Connoisseur reader Marie Thérèse of Pinca Pendants sent me one of her hand crafted necklaces. I thought it was so lovely I just had to share. For more information on Pinca Pendants, check out their facebook page and Etsy store. I have two more exciting Lessons from Madame Chic giveaways to share with you. The first is with CobbleStay (a wonderful service that helps you reserve luxury apartments in Paris). Read my interview with CobbleStay to see everything from my thoughts on raising daughters to my favorite Paris pastry. 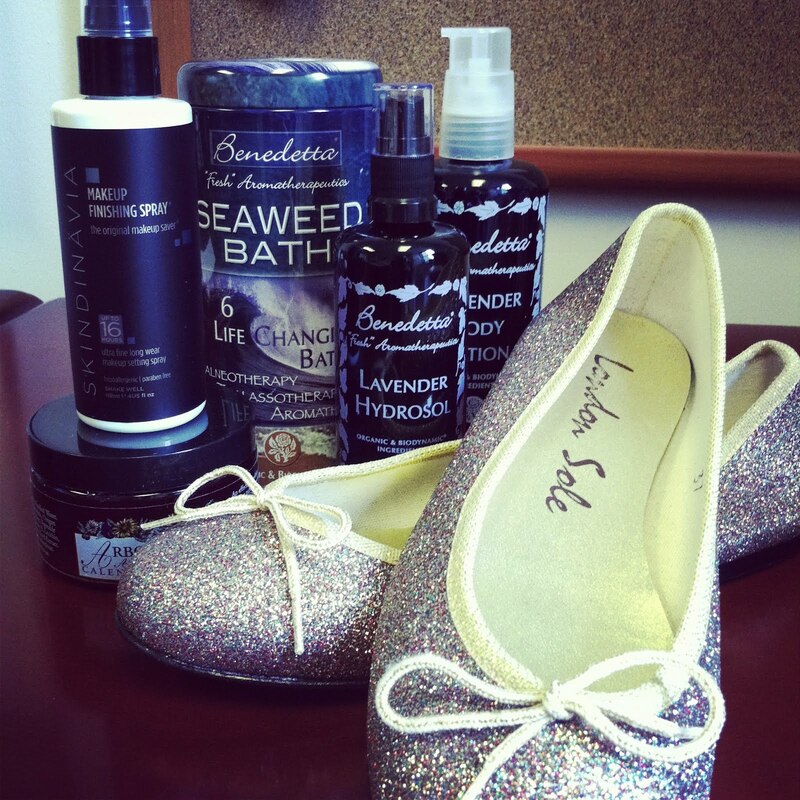 The next giveaway to share is on The Glamorous Housewife blog. Thank you to Bethany for your lovely review of the book. I hope you all have a great weekend... see you on Tuesday for the book launch!